We’re going back to the basics with your go-to guide for Bearing Installation. When it comes to bearings, the quality of the overall performance, reliability and efficiency they yield, begins with the quality and precision of their installation. If there’s one thing to take away from this, it’s that nothing lasts forever and it’s up to YOU to maximize every last operational hour of your application parts. Roller bearings play a vital role in rotating machinery by helping to: reduce friction, transmit loads and support shafts. However, 48 % of bearings fail before their natural death from being put in wrong or mishandled. Perfecting the art of bearing installation will ultimately prolong application service life and minimize downtime caused by unnecessary bearing failure. Although a bit tedious, this first stage is just as vital as those that follow it. Being lackadaisical this early on in the process could threaten the bearings’ chance for survival, well before the mounting begins. First, all bearings should be stored flat in a cool, clean, low-humidity environment free of dust, shocks and vibrations. In addition, there are three good habits to get into, in preparing for bearing installation, to prevent from contamination and corrosion. Keep Bearings Clean – Leave them in their packaging up until they’re ready to be mounted. Once opened, handle the bearings with clean, dry hands or gloves. The fewer chances for dirt and contaminants to get into them, the better. Keep Surfaces Clean – Have a fresh piece of paper or plastic to work on, and never set the equipment anywhere outside it. All mounting and housing components should be clean, as well. Use either an Emory cloth to remove any dirt or other foreign bodies, or a fine file to get rid of any rust or burrs. 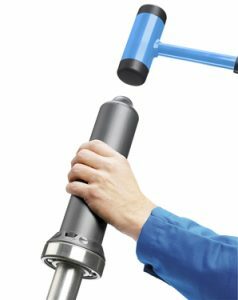 Check Dimensions Carefully – Measure the shaft and housing diameters to make sure the bearing chosen is the correct size and that the shaft and housing are truly round. Do not use the bearing as a gauge to do this. There are two types of mounting processes. Mechanical, or cold, mounting is the simpler option and is used for smaller bearings with an Internal Diameter (ID) of up to 4″/100 mm. This is often a more convenient mounting method, as the bearing can be mounted with no electricity right on the application itself. It is important to check for proper seating of the bearing and use a special fitting tool to drive it onto the shaft. The tool should be complete with a sleeve, impact ring and dead-blow hammer. Take special consideration to avoid applying force directly to the bearing’s: rings. cages. balls, rollers or seals. Start the bearing on the shaft with the rounder corner of the race going on first. Apply even, driving pressure, using smart, quick taps rather than heavy ones, while keeping everything square, supporting both the inner and outer race. For bearings with an ID that exceeds 4″/100 mm, the force needed to mount them increases considerably. This is best accomplished using heat in a process called hot mounting. The most vital factor in this method is the source of the heat. For example, techniques such as oil baths and exposure to open flames can harm and contaminate the bearings. Best results are attained using electric induction heaters, which allow for the easy regulation of heat. The key here, is the temperature difference between the bearing and the shaft. Normally, a bearing temperature of about 150 F above that of the shaft is sufficient. Heating of the inner race and freezing of the outer race is the most common and recommended method. Required heat varies, though, so be sure to refer to the bearing manufacturer’s (OEM) heating guidelines. Once hot, carefully slide the bearing onto the shaft, and when it cools, it will grip the shaft and work efficiently. Always wear proper Personal Protective Equipment and be careful not to overheat the bearing past 250 F (or 210 F for bearings with shields or seals). Extreme heat can cause the bearing’s metallurgy to change, which can alter bearing dimensions and/or hardness. Hydraulic mounting is recommended when dealing with extra large bearings, or tapered shafts anywhere from 2 to 37 inches in diameter. It requires less manual effort and promotes greater operator safety. 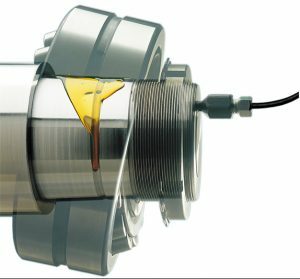 Hydraulic techniques allow for greater control and precision, as well, while minimizing the risk of damage to bearings and shafts. Shafts with oil ducts and grooves can accept oil injected between the bearing bore and shaft surfaces, which creates a thin oil film. This reduces both the friction and the required force needed to mount the bearing. With an oil film applied, bearings can then be physically mounted using the hydraulic pump to drive them up the shaft. 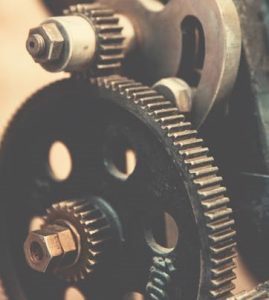 It achieves this by pumping oil into the hydraulic nut, which then pushes the piston out, ultimately exerting a force great enough to move the bearing into position. All the while, the pressure is being monitored by the pump for quality assurance. The key objective in mounting bearings is finding the balance between minimum required force with maximum control. Determine the best bearing installation practice for your application and arm your workforce with the technologies and tools it takes to be successful. A lot of production falls on the accuracy of the bearings, and even though they are often made of steel, bearings are surprisingly delicate. “If you take the human hair and split it 10 times, that’s the precision that these bearings are made to have,” Tim Zerger, Bearings Business Group Director at IBT, says. Take simple precautions in your bearing installation process and save yourself the money, the time and the headache of an unnecessary bearing failure. IBT Industrial Solutions was founded in 1949 with Industrial Bearings in mind. 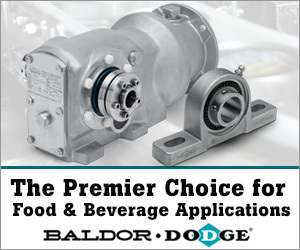 Since then, we have become a trusted source for industry knowledge and expertise when it comes to bearings. When you partner with IBT, you’re guaranteed access to the best service and brands in the business. 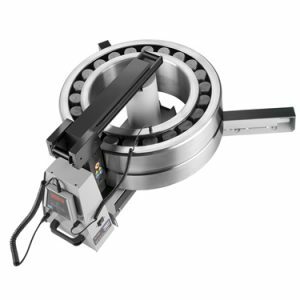 Looking for more information regarding bearing installation? Contact our team of experts!